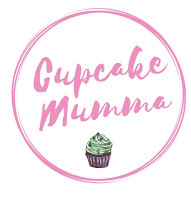 Any long term readers of Cupcake Mumma will know I'm a huge fan of random acts of kindness, no, any kindness! I firmly believe you put good out into the world and you get that back; in some way, shape, or form, even if it's that warm and wonderful feeling of doing good, it lasts for me throughout the whole day. Jesus' passion for justice inspired the first Christian Aid Week collectors to come together to raise money for refugees in 1957. Now you can be part of this incredible story of the church in action. Host your very own Big Brekkie and follow in the footsteps of thousands of Christians who have made a huge impact over the last 60 years." I wanted to also share some of my favourite acts of kindness which if you feel inspired to do any I would love to see so please do tag me on social media! Call up a friend or family member. Maybe Skype someone you've not seen in a long time for a catch up. When I hear from long distance friends I feel so good. Before I separated from my husband I also liked to do random acts of kindness for him too, so if you fancy doing any of these with your partner then I hope they love it and you both get happiness from the activities. Plan some time out together in the near future so you both have something to look forward to. Even if it's a walk and a picnic, whatever you're into. I hope you're inspired to spread some kindness and even host a Big Brekkie to raise some money for Christian Aid and the wonderful work thet do around the world.